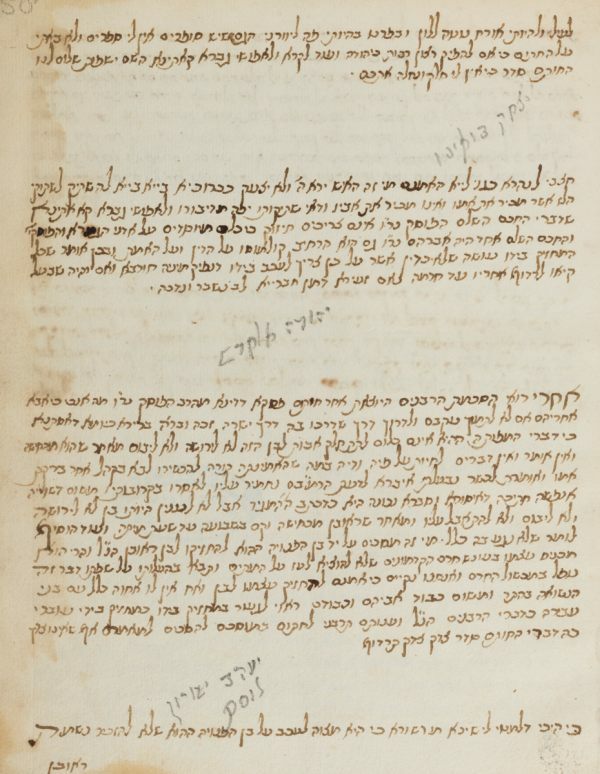 The names of the rabbis who gave responsa are partly written on the bottom of the pages in pencil in 19th century Sephardic cursive hand. The matter in question concerned a claim of Sarah Curiel to have borne an illegitimate child of David Curiel alias Lopo Ramires. The law-suit was brought before an Amsterdam court in 1682. Hebrew / Paper / 20,1 x 15,6 cm. /  ff. (last f. blank) / Sephardic cursive writing, several hands, of the late 17th century / No title.